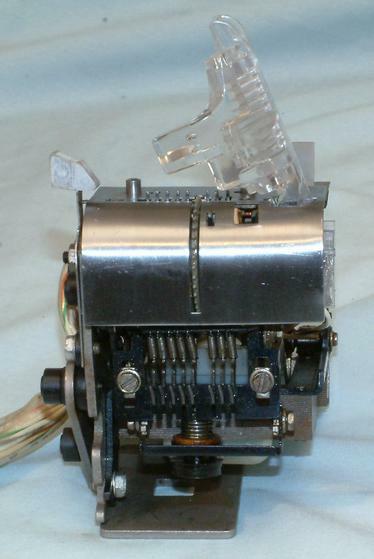 This is the front of the ASR 33 Teletype paper tape reader. The paper tape is fed over the top and the plastic cover closed. The pins sticking up the top are raised for the picture. They are normally raised during each read cycle to sense which locations have holes in the tape.